The 26 year old founder of Reddit died yesterday in New York. 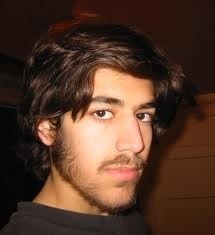 Aaron Swartz was reportedly dealing with depression which was compounded by a July 2011 indictment for hacking JSTOR. Swartz, often considered by many as an Internet pioneer, had allegedly set up a laptop in a closet at MIT with the intent to take the pay wall protected JSTOR content and distribute it for free. It’s believed that Swartz’ hack was why JSTOR moved to a more liberal freemium model. Swartz appeared in court September 24, 2012 where he plead not guilty. Swartz began his tech career at 14 when he co-authored the RSS 1.0 specification widely used today. He also founded Infogami which eventually merged into Reddit.